Stuck in a rut about how to send Father’s Day emails this year? If you’re still assembling the designs, don’t fret. 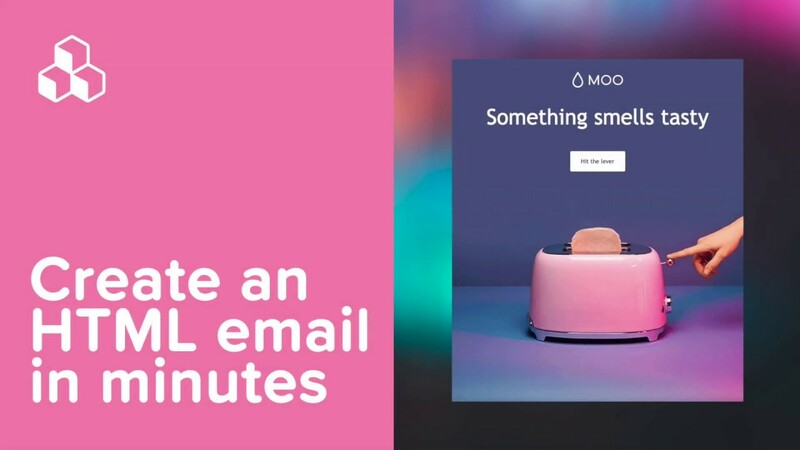 To get the creative juices flowing, we’ve rounded up messages with clever copy and dynamic designs. Try these best practices for putting together Father’s Day emails that will catch the eye and inspire your audience to click. Shoppers love to see customizable gifts they can choose to suit their individual dads, but they don’t want to be presented with too many options. BirchBox‘s campaign offers readers two ideas: a monthly subscription or a one-time limited edition box. 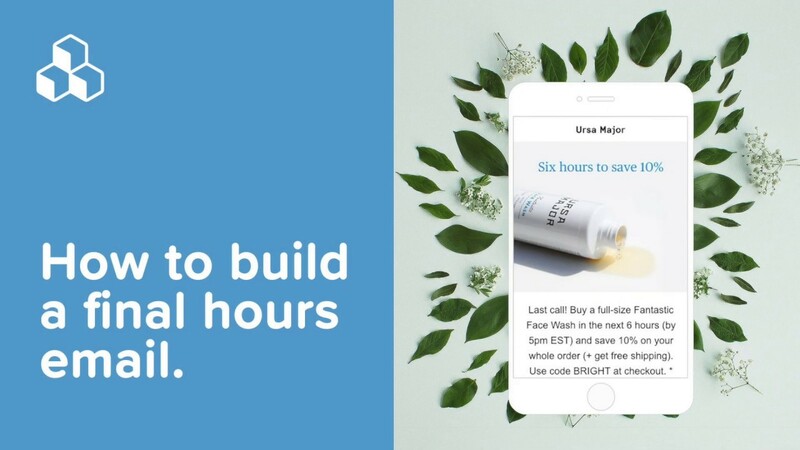 By offering just two gift suggestions (instead of, say, 10), BirchBox (a) doesn’t overwhelm readers; (b) prevents readers from scrolling much or clicking to a new page; and (c) invites shoppers to choose the option that best matches what their dad would like (and that’s also budget-friendly). What Works: What sets this campaign apart from other Father’s Day emails is that it’s incredibly focused. There is no complicated navigation menu at the top, and the message is simple, clear, and to the point. The price of each gift is included, so there’s transparency. 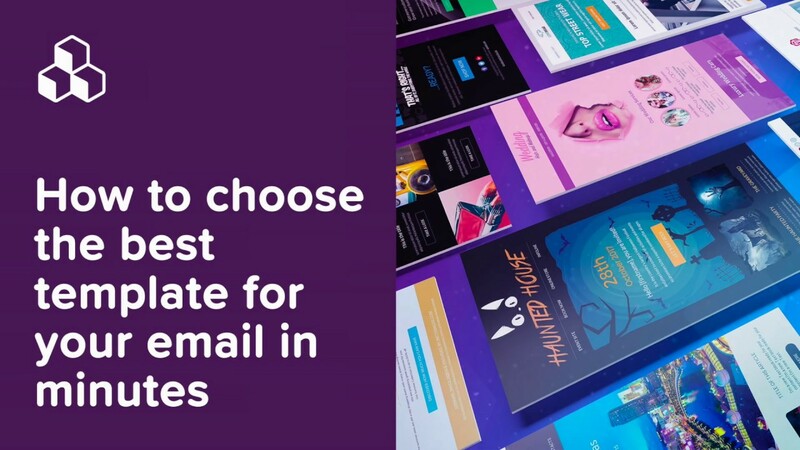 Almost everything you need to make a decision is right in one email—and when it’s easy for readers to make a decision, it’s easier for them to take action, too. It’s no secret that dads can be tough to shop for. So always inspire readers with a fresh idea—and make it a simple purchase process—in your Father’s Day emails. Patagonia recently sent this email (with the clever subject line: A gift for dads on the fly) to advertise a fly fishing kit for newcomers to the sport. Patagonia’s lead image and message are clear: “All you really need is a rod, line and fly.” With a single purchase, this gift gives readers an idea they might not have considered, takes the burden off the shopper to do extra research, and gets dad ready for a fishing adventure. What Works: Like Birchbox, Patagonia uses a simple header and keeps its message simple and direct. By putting the copy below the lead image, the Father’s Day email also improves its text-to-image ratio and becomes mobile friendly. Plus, those orange CTA buttons are easy to spot and tap, and they’re bulletproof. 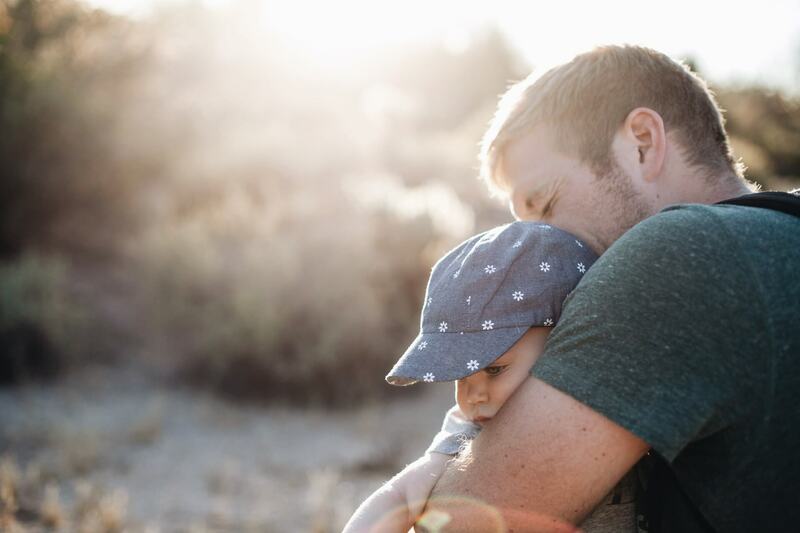 Father’s Day isn’t inundated with as much sentiment as Mother’s Day, but there’s nothing wrong with being earnest and getting to the heart of the matter: why dads are loved. Huckberry does a great job of designing an email that’s both heartfelt and silly. What Works: With playful illustrated quote bubbles, Huckberry’s one-liner theme is carried from the intro text to the final message, creating an email that feels cohesive and thoughtful. Plus, it probably puts a smile on readers faces. 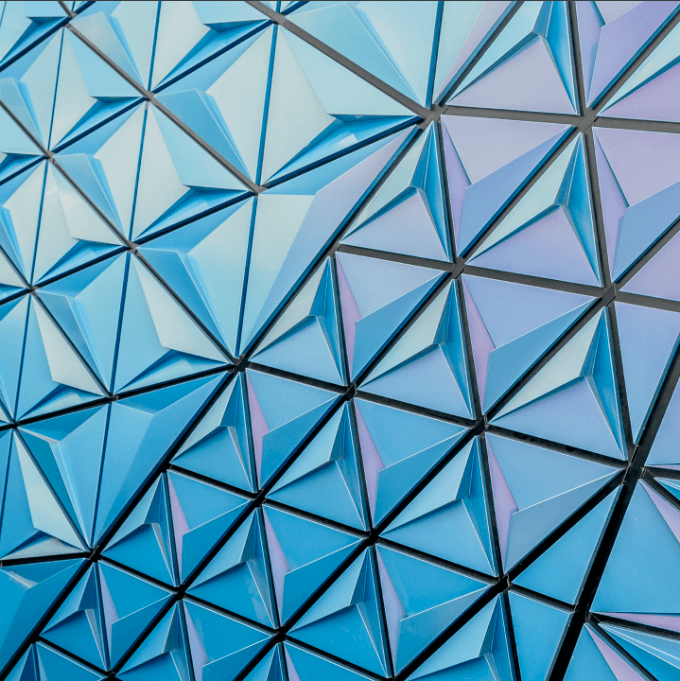 By using the same blue-green color in headers, call-out bars, and CTA buttons, the color scheme also reinforces the email’s cohesion and unifies the message from beginning to end. Not all campaigns need to rely on photos. By playing with font styles, sizes, and layout, Artifact Uprising uses minimalism to catch readers’ eyes and tell Father’s Day shoppers about a chance to save. What Works: Artifact Uprising proves that a simple typographic design can be anything but basic or boring. A streamlined color palette, smart typography choices, and clever layout can come together for a design that’s sleek and chic, and that also reduces budget and time. The email communicates effectively and delivers readers with the information they’re looking for: how to shop and save this Father’s Day. Forget neckties, golf clubs, and whiskey (unless that’s your dad’s thing) in your Father’s Day emails. Get inspired by Yellow Leaf Hammocks, which played off tired dad clichés and suggested alternatives for each one. Although each alternate gift is the same thing (a hammock), the clever concept gets readers smiling and thinking outside the box. 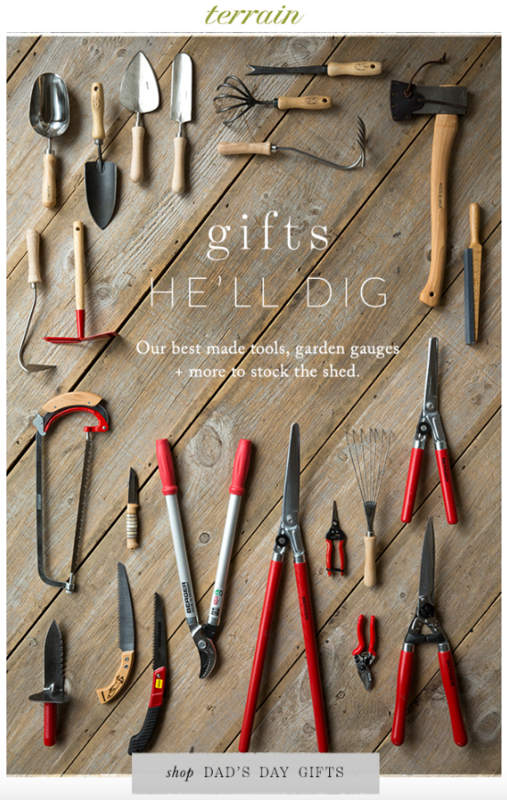 Similarly, Terrain steers clear of overused gift ideas by pointing readers back to its brand and inspiring shoppers with great design. 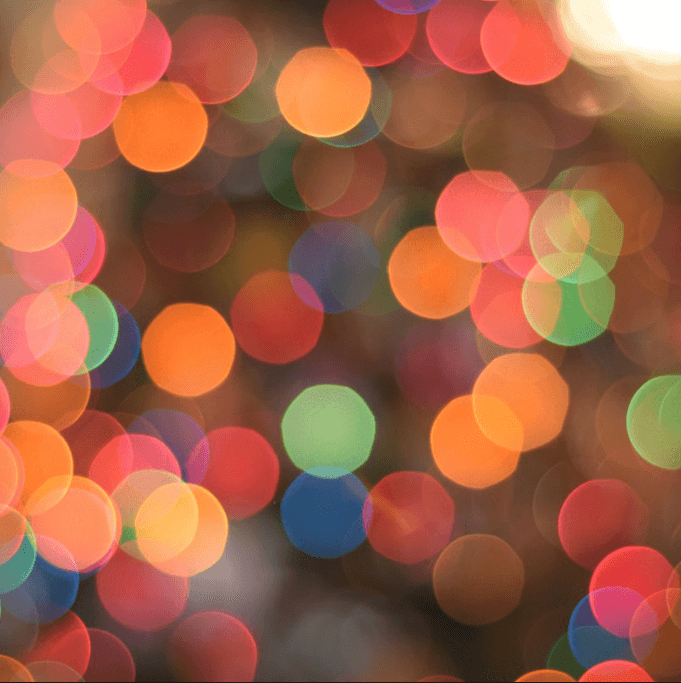 What Works: The playful language used by both brands keeps the messaging light and fresh. Plus, with such well-designed photos of things arranged neatly, one standout photo is all you need. Recognize dad’s individuality with multiple gift options. Offer a few choices at different prices, but don’t feel the need to give dozens of options. Stick to a unifying theme or carefully curate items, letting readers know why each choice might be a good fit for a specific type of dad. Feature a single product that’s relatively universal. Consider displaying something that has all the parts sold together. With a great all-in-one product like that, it can be better to pitch it to shoppers as one inspiring idea, instead of curating a list of goods. Mix a little bit of humor with a little bit of sentiment. No need to get too sarcastic or too sappy, but clever copywriting can get to the heart of the matter and add a little fun. Present your promotion with a sleek, typographic design. This is a good option if you’re short on art, but make sure to put thought into the design so it’s not slapdash. 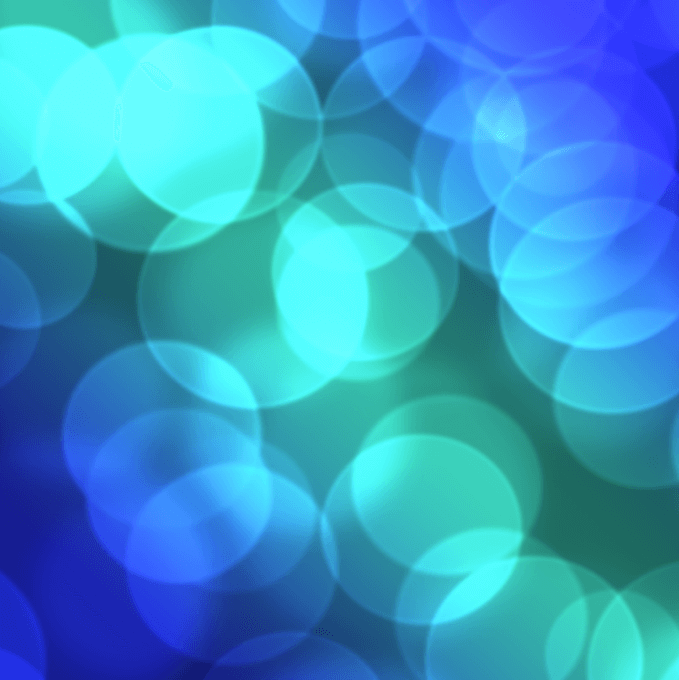 Use brand fonts and colors, but get creative with layout to catch readers’ eyes. Don’t give into Father’s Day gift clichés. Show readers refreshing, unexpected gift ideas, which means brands have the opportunity to appeal to all types of shoppers this Father’s Day. Do you have a new take on Father’s Day email designs? Tell us about it! 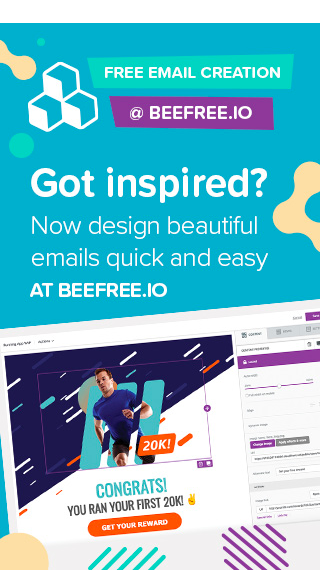 And remember to try the BEE editor to design fully mobile-responsive emails online for free. This way, your campaign can be ready to go in minutes.